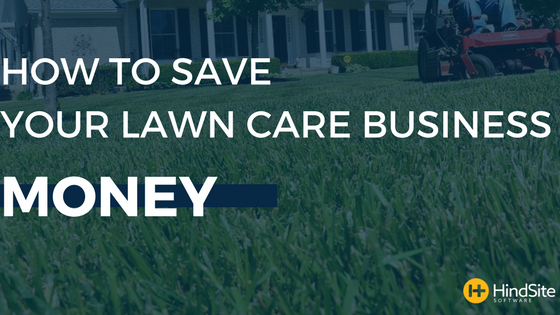 Whether you are just starting your lawn care business or are a seasoned veteran, I'm sure that saving money never seems to fall too low on the totem pole of priorities. Whether you're saving five or five thousand dollars, money saved is money saved. I have no doubt that you and your company want nothing more than to maximize the success of a great summer. Here are some tips that will help to fatten up your company's (and your own) wallet. 1) Keep your fuel stops to the evening hours rather than in the morning. During those wee hours of the day, your employees are going to be in more need of a "pick-me-up" when stopping for fuel. Whether they need two (or three) cups of coffee and one of those oh-so-healthy gas station breakfast sandwiches, stopping for fuel and food costs you both time and money. And not that I have to remind you again, time is money. Since travel is required with a lawn care business, make sure your employees are not wasting time on the job by scanning the junk food aisles. 2) Next, set clear goals and hold your employees accountable. To be efficient, your business' goals need to be set in stone so that your employees always have them to work towards. Once those goals are met, set new ones. Make them achievable but not impossible. You want your employees to be challenged but you don't want them to feel defeated. Make sure that your employees know that you trust them and that your company depends on the fact that they achieve these goals and they will undoubtedly be met. The key is to keep your employees challenged but hopeful. 3) Optimize your website for sales. It's no different from walking into your favorite store and immediately wanting to buy the first ten sweaters you see because they are folded perfectly and arranged beautifully by color. Or when you walk into a golf shop and the new clubs that you want are placed under a gleaming spotlight. The same goes for your website. If you want your services to sell, make sure it is easy to navigate, accessible, and pleasing to the eye. This will guarantee you success in sales. 4) Limit the number of people in a crew When assembling a crew, make sure it only has as many hands as you will need. It can be tempting to be safer than sorry by having a few extra people handy, but when it comes down to it you don't want to bite off more than you can chew. 5) And the last piece of advice is to install software. This will not only help save you money but it will also save you time, but if you play by the age-old saying "time is money" then you already anticipated this. And it doesn’t have to be our software. To varying levels, every software that’s out there will streamline your lawn care business. And doing so will create a sense of organization and ease. Installing a field service software will eliminate all of that extra paperwork that we all tend to procrastinate on and better yet, you won't have to hire anyone else to help you sort through it because the program will do it all for you. Think about it.